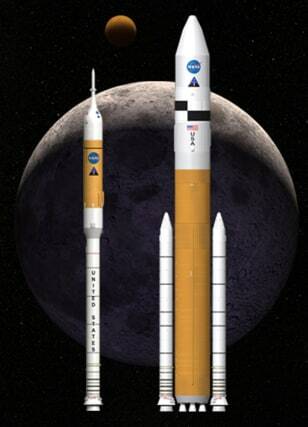 This artist rendering shows NASA's next-generation of moon rockets. Ares I, left, is the crew launch vehicle that will carry astronauts to space. Ares V is the cargo launch vehicle that will deliver the lunar lander and other large hardware to space.